Question yourself? What makes a Beyblade better than any other on the market? The one sole thing that matters is the strength of the device and the agility with which it moves. While strength, speed, and performance play an important role, the aesthetics of the spin top along with its customizable feature matters likewise. And, for all those Beyblade lovers out there, this article is going to be a true treat for their eyes. Behold! We assemble some of the most widely accepted Best Beyblades on the market. Take your time and check which of the best Beyblades are missing out on your shelf. Do you know what they say about the Pegasus, it holds the strength of a thousand suns! And the exceptional design proves it. It is a blade which is not only stable but it also guarantees to survive longer than expectations when matched with a worthy opponent. Everything about this Beyblade is precisely accurate. What adds stability to its spin cycles? The W105 spin track feature and not only does it add stability but also fortifies the spin so the blade does not topple off easily. The tip is performance oriented as it is enhanced using an R2F material. The blades are designed with the specific mentality to give the ultimate hook capability. With ready hooks and perfect spin, this spinning top Beyblade perfectly outlasts and pushes all sorts of opponent out of the stadium within no time. 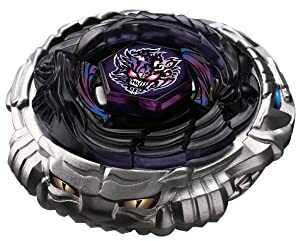 Featured in the anime and Manga series (Beyblade: Metal Fury), the all-new Meteo L Drago is the ultimate destroyer and destructor of Beyblades around the world. It is the evolution of the LW105LF model which is owned by Ryuga within the respective series. 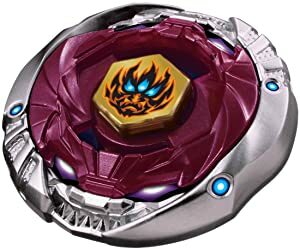 What makes L Drago any different than other Beyblades is the inner core energy ring. It is made up of rubber which provides the perfect stability, enhance performance and adds great defense to the device. The unique flow spin of this spinning top keeps left spinners away from getting hooked up with the blade altogether. 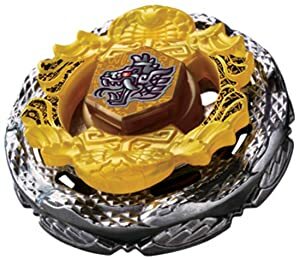 This is a Type – Stamina Beyblade which has previously appeared in Beyblade: Metal Fury anime and manga series. This unique Beyblade is controlled using a ball bearing. The method implies a lot of similarity in functioning just as the Wolborg MS secured within a hard metal shell. All thanks to the ball bearing design, the Phantom Orion B.D holds a place as one of the top-notch designs which prove to be extremely defensive against all odds. The metal frame of this Beyblade is crafted with exception to outlast all other Beyblades when it comes to measuring strength. If you are looking for a tool of destruction with perfect balance, then the Metal Fusion Death Quetzcoatl is one such product that may sweep you off your feet. This device has not only appeared in the animated series but has also been discussed many times in manga episodes as well. The Beyblade is perfect among its kind and includes a performance enhanced tip. Its tip is protected with Rubber Defense Flat (RDF) material which enhances the attack and defense system of the Beyblade overall. On the other hand, the spinning top represents the planet Venus and comes with a Stamina aptitude. Combining all that and more, this Beyblade becomes the ultimate champion among similar competitors. Have you recently begin Beyblading? Are you searching for a product which can help you gain upper hand among competitors? Well this is just the product for you. 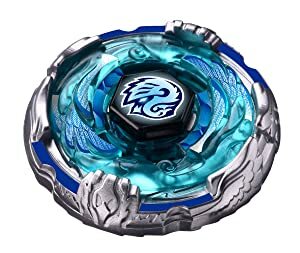 This device earned its gratitude from the ultimate Beyblade animated series, “Beyblade:Metal Fury.” Not many recognize it, but this is one blade that can twist and turn using two movement patterns. 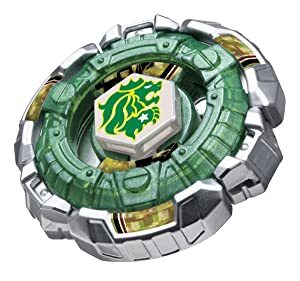 Based on the angle with which it takes spin cycles, the Beyblade is considered to slide up to 60 degree and give maximum deflection against oncoming attacks. This toy was rumored to be a free-spin top design; however, with its official release, it turned out to be a device not much in support of a free-spin mechanism. In functionality, it does imitate the legendary Diablo (Ultimate Balance Mode). If you are a huge fan of clash and clang! 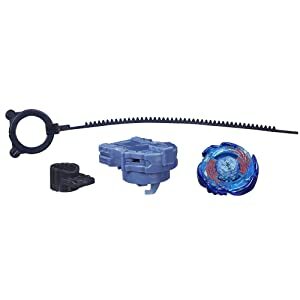 Then the Samurai Cyclone Beyblade Battle set is one such design which perfectly fits your requirement. It is an exclusive design capable of sending uncontrollable devastating attack blows to opponents and send them out of the field within no time. The tip of this Cyclonic Beyblade is Ninja Salamander SW145SD which makes the Beyblade function both ways, offensive and defensive. 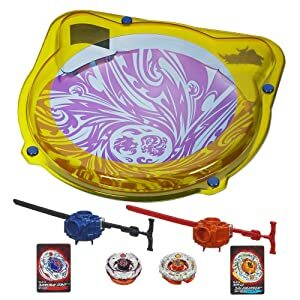 If you have this Beyblade within your respective set, there is a hard chance that you may end up with losing any battle. If you are looking for an ideal Beyblade then The Diablo Nemesis is indeed a treasure. The best thing about this Beyblade is that offers both, strength and defense at the same instance. The device contains a heavy metal ring located within the center. Due to high recoil, the blade spins faster than customers’ expectation. 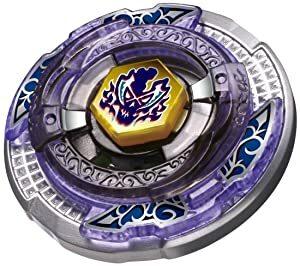 Now most Beyblades aren’t specifically designed on a Defense Type system but Fang Leone Fusion Star is one that is optimized to keep you safe within a battleground. You may have seen this spin top quite a many times in various manga series and anime episodes. 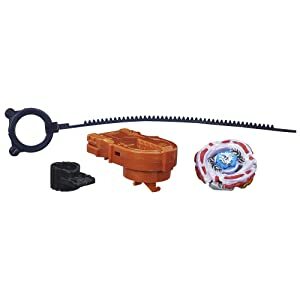 What makes this Beyblade any different from other Defense – Type Beyblades is the mode changing capability. 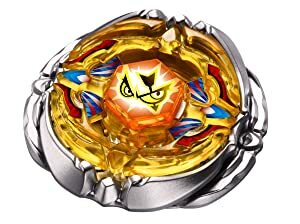 Now you can rearrange your Beyblade as per preference. To activate this bey, one may only require flipping the Metal frame. The base is supported with a W2D bottom and can assist the blade to spin with stability. Also, it comes in two unique modes; Defense and Counter Attack Mode. It will be noteworthy to mention here that this blade is an evolution of Rock Leone 145WB. The ultimate Scythe Khronos is the only Beyblade on our list specifically designed with ultimate stamina. The Scythe has appeared countless times on the TV show and has proven itself a winner of admiration. The product is one of a kind because of its free-spinning capability. It also makes up for the perfect Stamina – Type Beyblade on the market list. One of the awesome things about the Khronos is that it function both ways, attack or defense. It has multiple attack modes which makes it a lucrative product to purchase. Also, the tip is enhanced and the scythe in blade offers great balance to the device. Although licensed as one of the top brands, the Flash Sagittario Starter set is one such blade which can be added to your personal shelf. Why is that? Because this Beyblade is a limited edition and a standalone product in the market. The Flash Sagittario is a Defense – Type metal fused high quality top which is designed to resist high impact forces. It comes in a brand new box and is a very limited collectible. Rumors has it that it was originally owned by Kenta Yumiya but the chances are high that some of you may end up purchasing the wrong one. To make sure, you are not buying a fake device, purchase it only from the Amazon web store. A reliable brand name in the line of spinning tops gained fame back in 1999. A guy named Takara Tomy first manufactured and developed a creatively alluring spinning top termed as the Beyblade. As the name of the creator suggests, the main premises of its origin is Japan. The toy relates to a concept of a board game (Battling Tops) developed in 1968 by Ideal Toy Company. However, Beyblade spin tops came into existence later on with the official launch of the mind captivating animated TV series, Beyblade. 2001 marks the date of the official licensing of the animated series by Korean toy makers and by the year 2002, Hasbro stepped into the market with the first Beyblade toy only to be sold internationally. Inspirations pushed Takara Tomy to take a step further and by the year 2008, he released the first Beyblade: Metal Fusion, the first ever identical Beyblade toy. Most of the credit for the immense popularity secured by Beyblade is due to the fame and recognition it received from the amazing animated series and the remarkable characters involved. A name worth remembrance was the Ultimate Kai. As the fan dome of the spin top toy became internationally publicized, every other fan created a collection of their own. In result, many other toy manufacturers emerged into the market offering highly customized Beyblades.